Black Leather High Heels With Red Soles Size 7. Condition is Used. Small defect on right heel. Good condition. 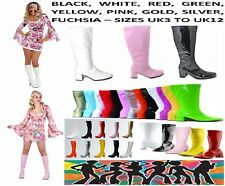 Ultra thigh high boots! UK size 5, EU 38, US 7.5. 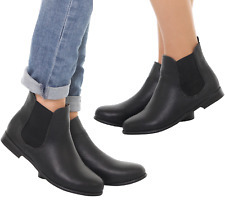 Imagine these impeccable boots on a night out (or in!). 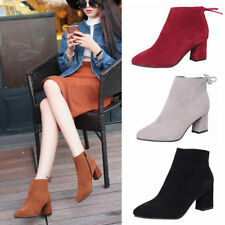 Women Vintage Ankle Boots Ladies Casual Mid Block Heel Chunky Booties shoes. Never worn.